Innovative connector shell material and screw threading provide high durability as well as reliable EMC protective continuity. Aerco is now stocking TE Connectivity (TE)’s Deutsch MIL-DTL-38999 series next generation ACT composite connectors which deliver up to 40 percent weight savings over similar aluminum devices. TE’s Deutsch group created one of the original composites in 1990, and its ACT series shells are not only very lightweight, they are also highly resistant to corrosion, withstanding 2000 hours of salt spray, and very durable, surviving 1,500 mating cycles. ACT series circular connectors are among the most versatile and popular circular mil spec input/output connectors in the world. They are available in three shell styles, two plating options, six shell clockings, over 50 different insert arrangements supporting size 23, 22D, 20, 16, 12, 10, and 8 contacts for power and signal, as well as coax and twinax contacts. 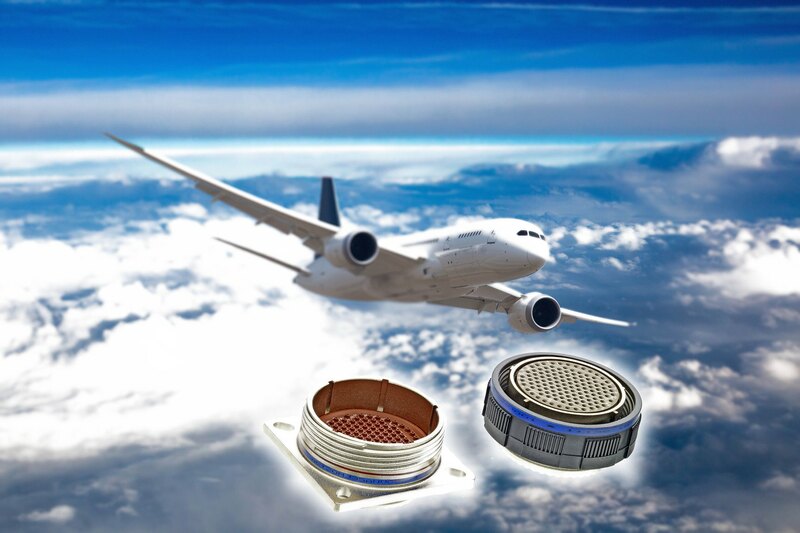 Originally designed as military and aerospace components, ACT series connectors are now also used in many other hi-rel applications where extreme reliability is paramount. They feature a scoop-proof design for fast, easy, secure mating, and a triple-lead, threaded self-locking coupling for excellent vibration resistance. Devices are environmentally-sealed and feature grounding fingers and a trapezoidal thread which provides excellent shell-to-shell continuity, to help support high EMC performance.